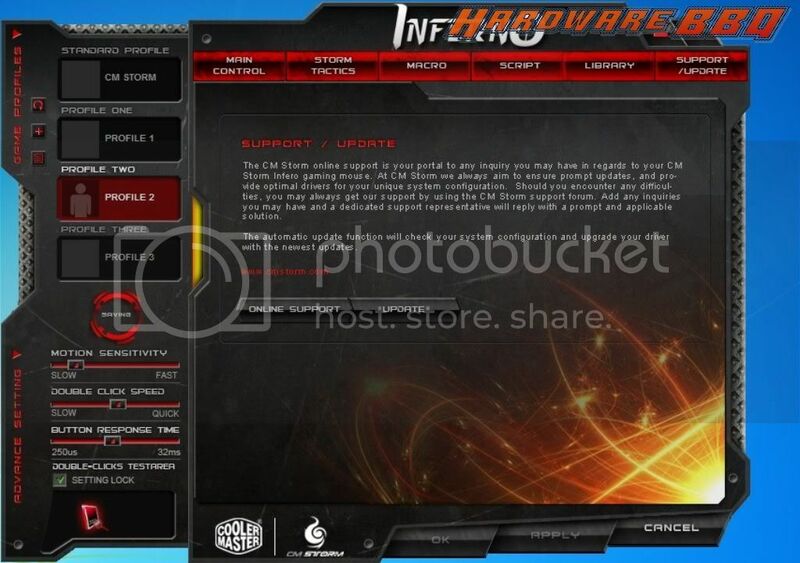 Coolermaster’s Inferno series aims towards gamers, almost no different from Corsair’s vengeance series. 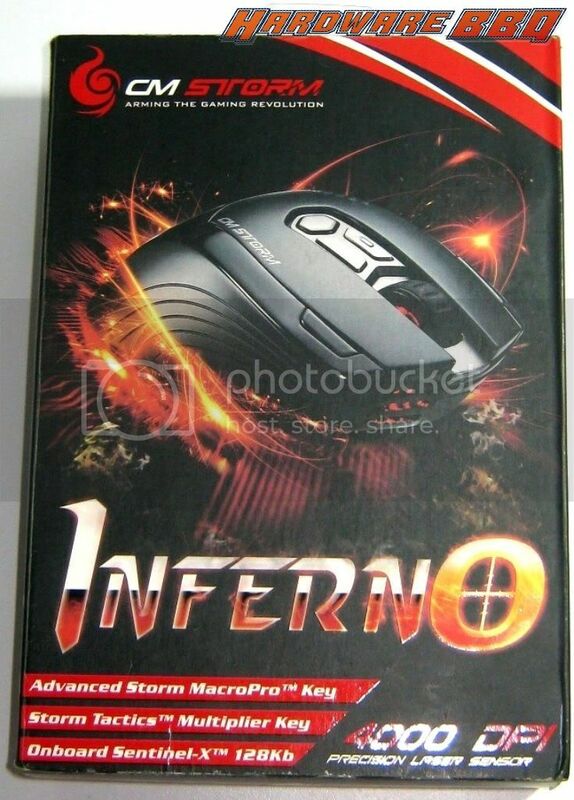 Inferno has number of cases, fans, gaming mouse/Pads and headsets, followed by keyboards not too long ago. 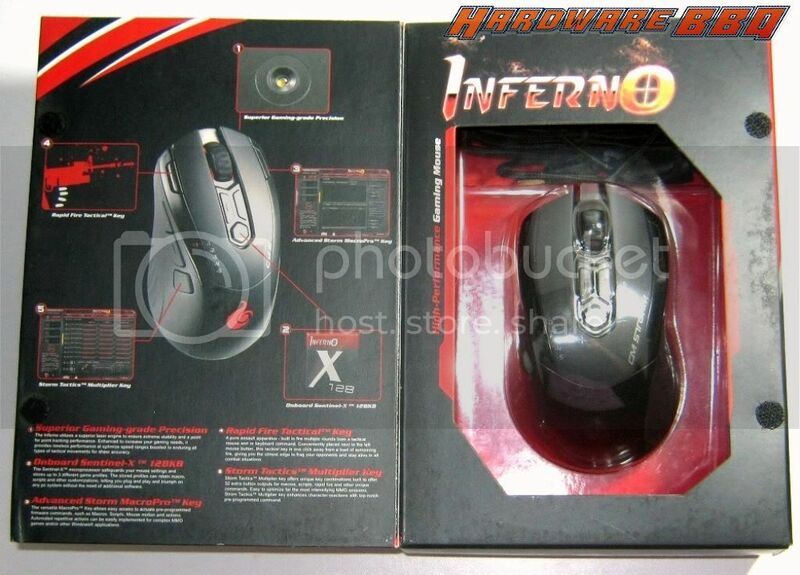 The packaging gives all the paper specs and features you’ll need to know and also get the top view of the mouse. 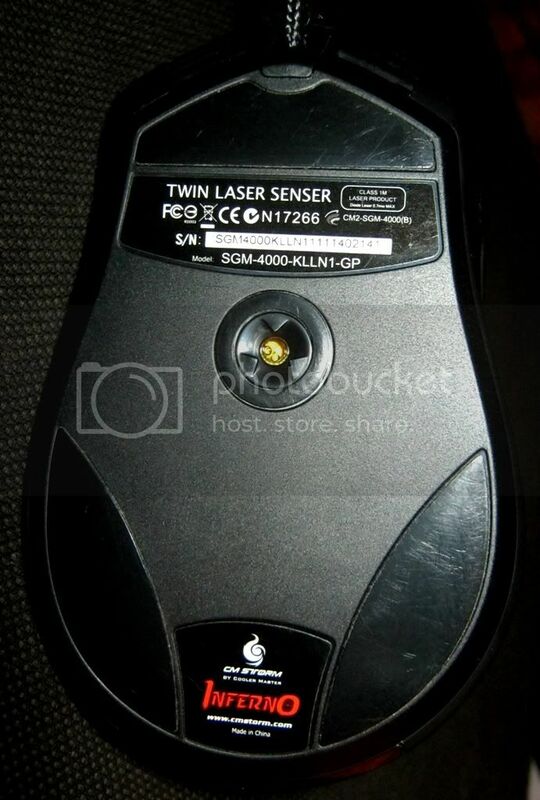 The importer’s label is where it says this mouse is with 1 Year warranty. The Inferno utilizes a superior laser engine to ensure extreme stability and a point tracking performance. Enhanced to increase your gaming needs, it provides lossless performance at optimized speed ranges boosted to endure all types of tactical movements for sheer accuracy. The Sentinel-X™ microprocessor safeguards your mouse settings and stores up to 3 different game profiles. 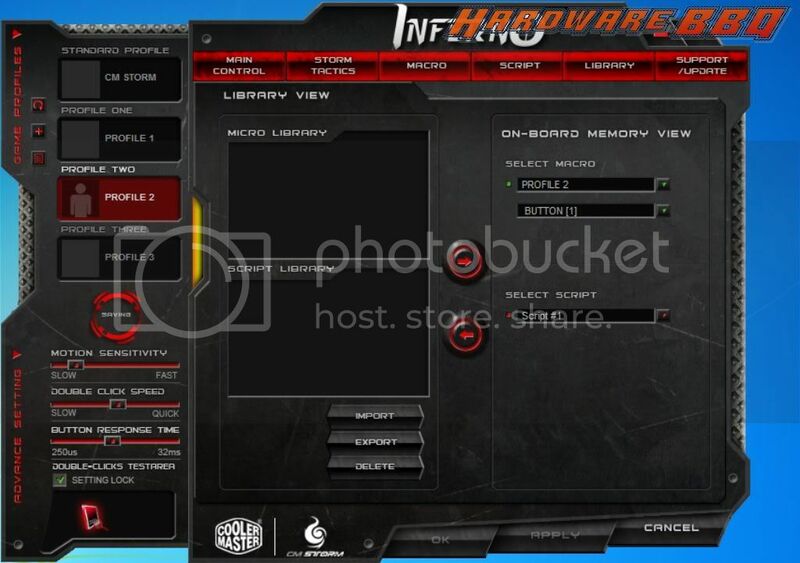 The stored profiles can retain macro, scripts, and other customizations, letting you plug and play and triumph on any PC system without the need of additional software. The versatile MacroPro™ Key allows easy access to actuate pre-programmed firmware commands, such as Macros, Scripts, Mouse motion, and actions. Automated repetitive actions can be easily implemented for complex MMO games and/or other Windows applications. A pure assault apparatus – built to fire multiple rounds from a tactical mouse and or keyboard command. 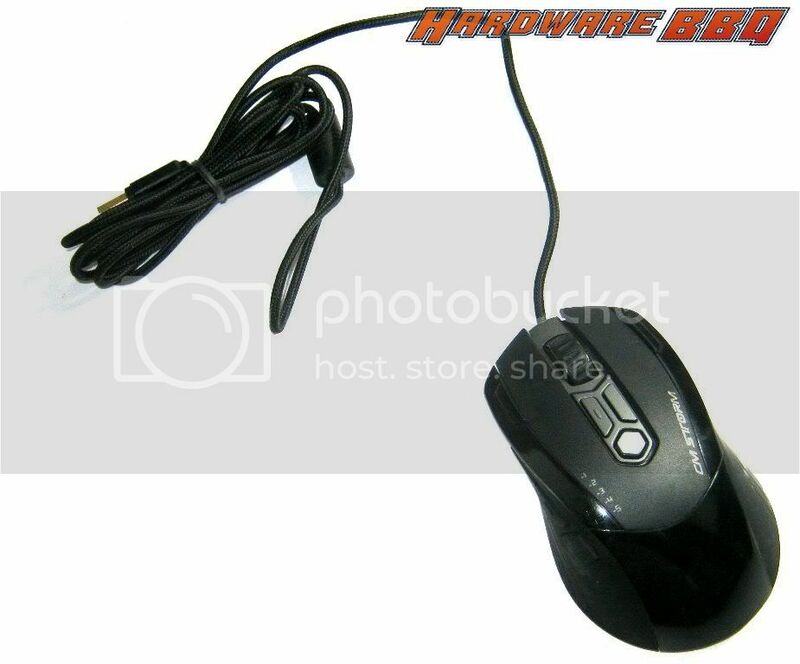 Conveniently placed next to the left mouse button, this tactical key is one click away from a load of sustaining fire, giving you the utmost edge to frag your opponents and stay alive in all combat situations. Storm Tactics™ Multiplier Key offers unique key combinations built to offer 32 extra button outputs for macros, scripts, rapidfire, and other unique commands. Easy to optimize for the most intensifying MMO sessions, Storm Tactics Multiplier™ Key enhances character reactions with top-notch combo command. The Braided USB cable is almost 2 metres long with a ferrite bead (To prevent EMI/RFI). Coming straight to the mouse, the extra mouse button towards the left is for Rapid fire and the one on the right is for the Macro. The hexagon-shaped button switches upto 5 profiles, with the LED indicator towards the left. The 2 buttons above it controls DPI. Other than the forward/backward side buttons, there’s a dedicated “Stom tactics Multiplier” key that lets you to program upto 32 Macros/scripts- useful for MMO players, not really needed for FPS gamers, atleast for me. 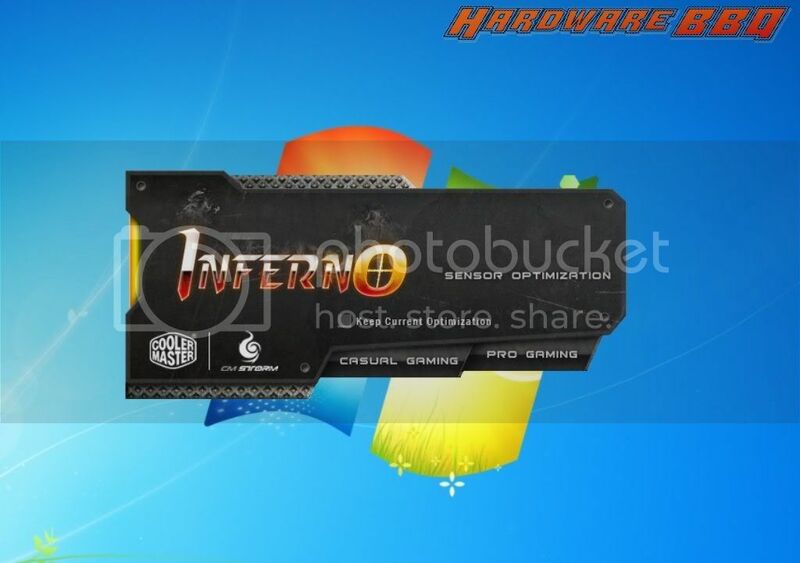 The front “grills” gives-erm-look and shows a grill patten on your mousepad. The logo shows bright LED red light, so does the scroll wheel, lights from the grills and the profile LED indicator. The only near-pimping lights you’ll get is the profile switch button. 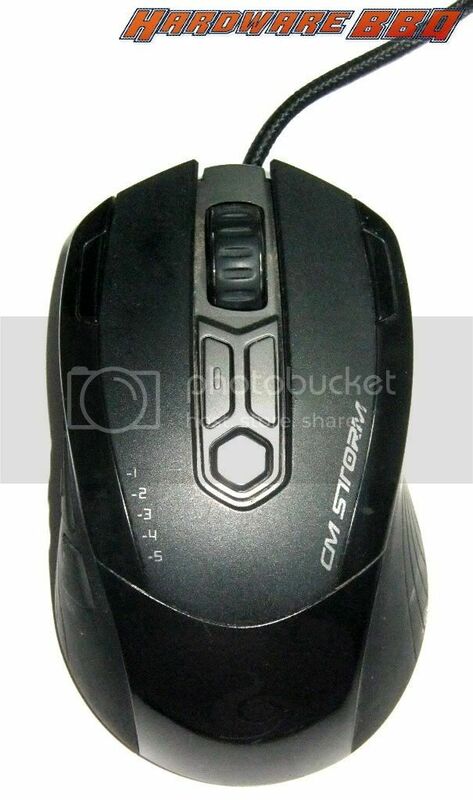 The mouse has good weight and the shape is comfortable for those who use palm and claw grip. 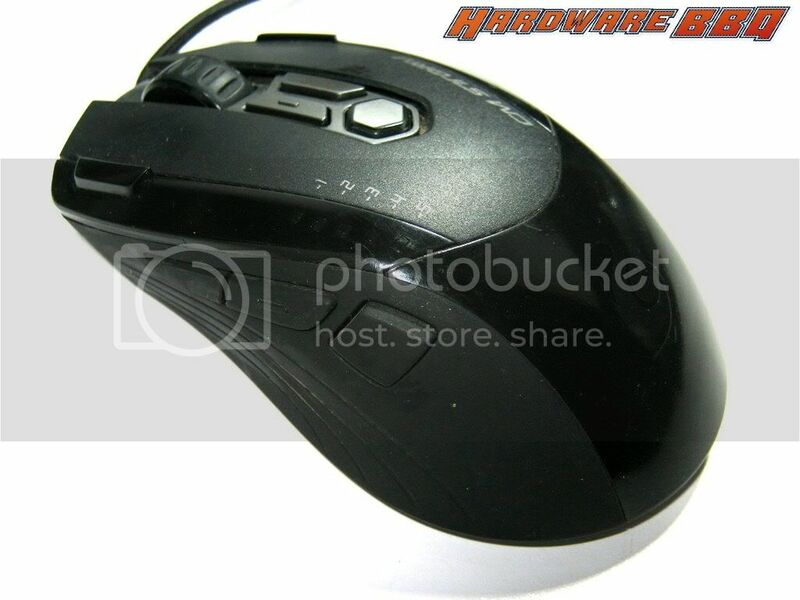 Thanks to the “hump” in the middle, your hands can easily rest on the mouse. 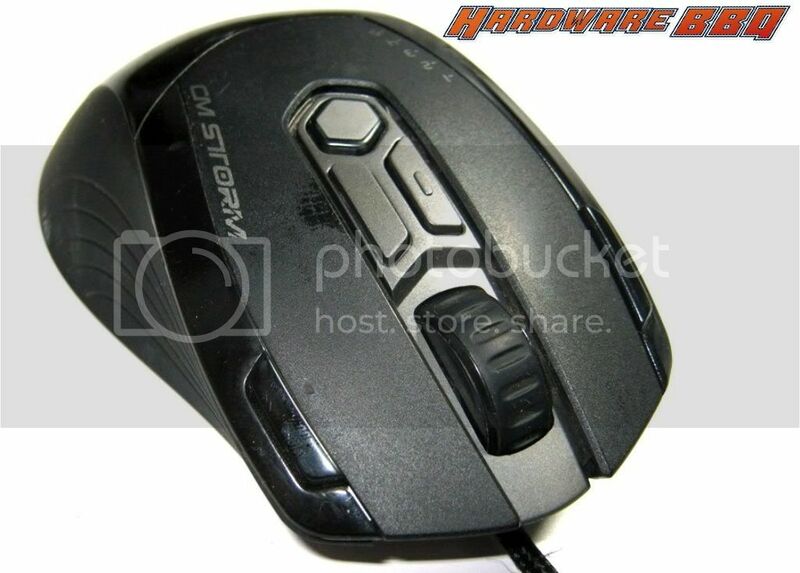 Some will find this mouse big and even bit heavier, but the built quality if great. The palm rest section is glossy plastic however its not a fingerprint magnet. The left right clicks are matte finish and has enough space to rest your index and middle finger. Most would take some time to get used to 2 extra buttons on the sides, but they do not come in the way. The tactile feel on left/Right and the side buttons are pretty good, rest are pretty decent. 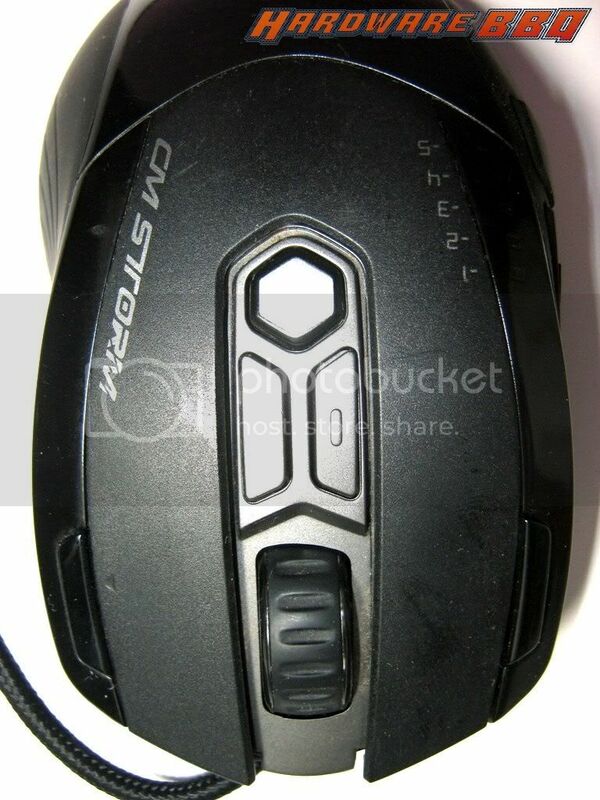 The scroll wheel has rubber on it and the friction is lesser than what I am used to, compared to MX518. The low DPI very smooth and is really helpful to make headshots. The mouse was smooth to slide around the mousepad. 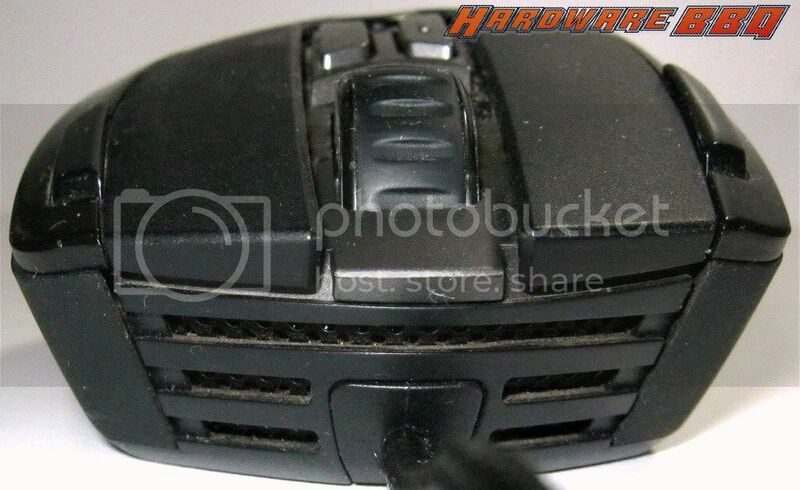 The only issue this mouse has is the twin sensor. I use a Razer Goliathus Control Edition cloth pad and this is the second mouse with dual sensor (first one was from Razer and another one in the works) with the same issue. So far I can say that dual laser sensors and cloth pads don’t go together. When you’re lifting the mouse and putting it back to the centre of the mousepad- or anywhere else, the arrow/crosshair moves from its place. No matter if the liftoff distance is low or high, the arrow moves a lot. This is pretty annoying with a low DPI setting and if you’re looking for accuracy and sniping. If you’re trigger-happy gunslinger and don’t care about accuracy, you would probably be least bothered about it. This shouldn’t happen in the first place, especially with a mouse made for gaming. Almost everyone uses cloth mousepads, especially LAN gamers. 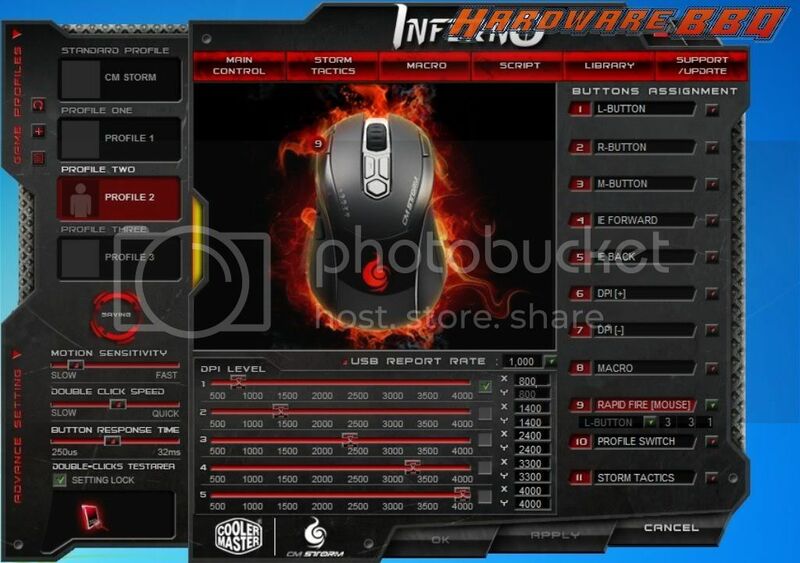 I cannot comment about Hard surface mousepads because I do not have one yet, and I have certain suspicion if this mouse will work smoothly on mousepads with colourful designs on it, especially those mousepads which have “paper finish” surface rather than having the designs on the weave itself. The experience using this mouse other than gaming is pretty decent. The secondary left click helps to select the entire paragraph in a single click. Works pretty almost nicely out of the box, but like all gaming mouses you get the firmware. Profile LED indicator’s purpose is defeated because the LED does not indicate which profile you’re on as the profile markings and not over the LED. There’s way too many options to do Macro setups and complex scripts. If you REALLY want to use all of it, prepare to spend a lot of time with it. 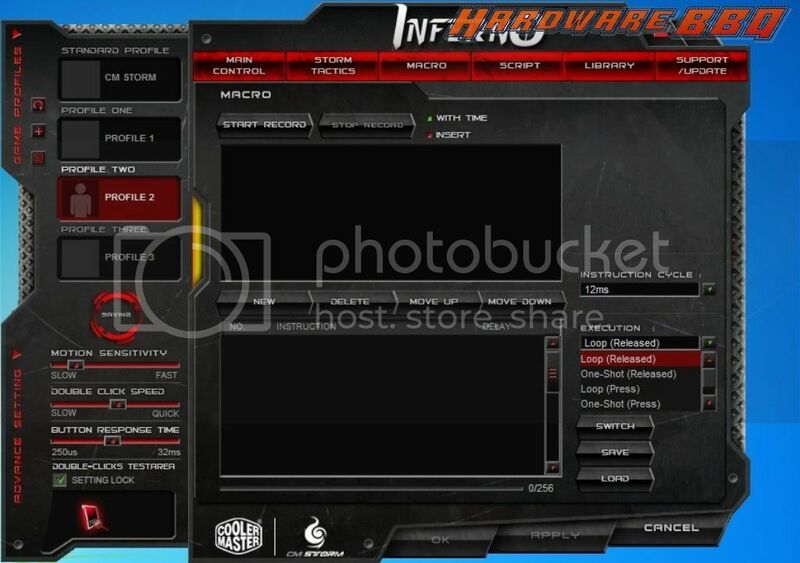 The main controls has all the controls a first person shooter will be satisfied with: Motion sensitivity, double click speed and button response time towards the left and towards the centre is where you set can DPI for each profile- and even setup DPI for each axis independently. USB Polling rate is 1,000 by default but you can change it should you require to. You can program upto 9 keys on the mouse. The profile switch and the storm tactics button is locked. You cannot remap both the keys on controls settings on the games as well. 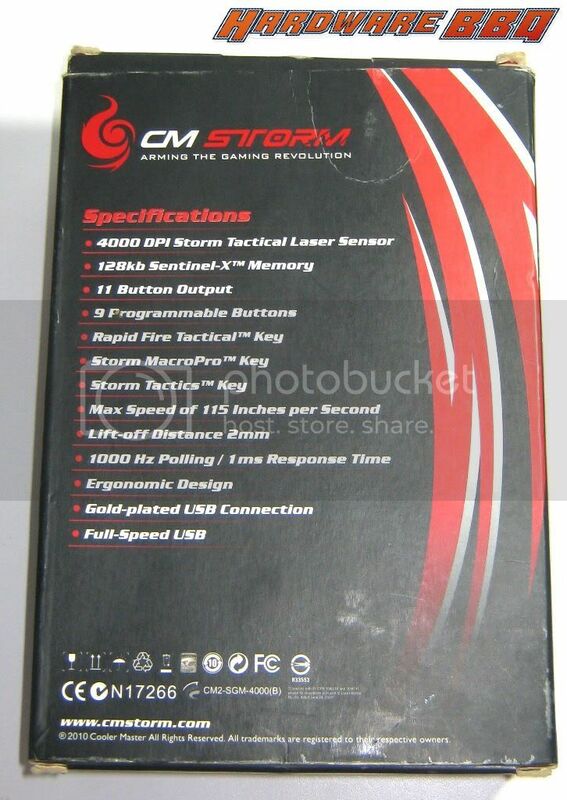 I wonder if Coolermaster can let people remap the CM Storm button, atleast in-game settings. Users can remap it to reload/melee attack/grenade, provided they want most of the controls in the mouse. The reason why I am saying this is because (judging by the storm tactics tab) when you assign macro under this tab, Storm Tactics key plays the same role as the Shift button on the keyboard. You’ll need to assign press [tactics] and another keystroke to launch an application or perform a certain action in the game. It goes without saying that if you can remap the Storm tactics key on the in-game settings- or better on the firmware. Thing about it, pressing the [Storm] button to throw a grenade takes lesser effort against [Storm]+[Left click]. But truth be told, there’s way too many settings here that would probably discourage even the MMO gamers from using most of it. Having lot of complex macro options in keyboards might be a workable concept- atleast for MMO gamers- compared to having them on a mouse. Not having pre-set macros for MMOs is a let down as well. Nevertheless, 128kb does let you pack a lot of macros/script in each profile. 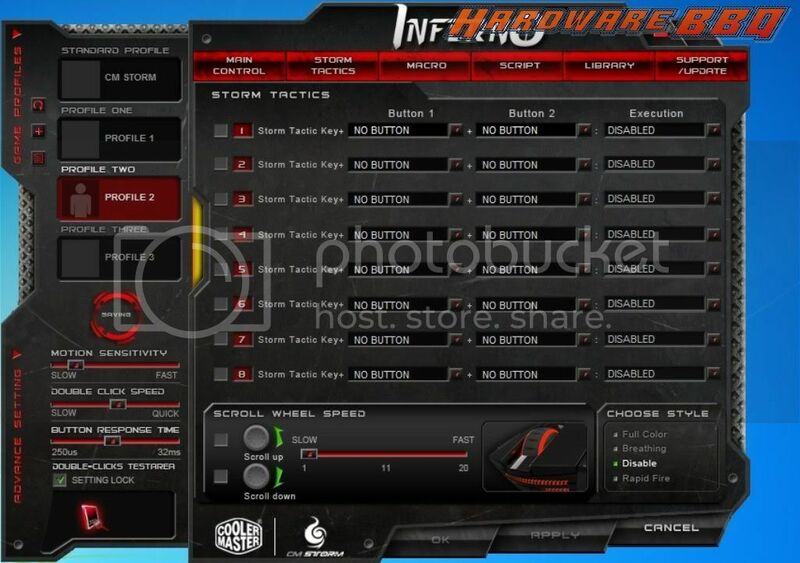 Storm tactics tab lets you program upto 8 simple macros per profile. Below that you can set scroll wheel sensitivity and the LED style as well. The disable option, however, does not disable the LED light on the scroll wheel and the profile indicator.